Burial Rites, by Hannah Kent: I first heard about this title at Book Expo this year, featured in a panel on Fall 2013 buzz books. It was a Fall 2013 buzzed-about book, for sure, and it lived up to the buzz that surrounded it. Kent's debut novel, Burial Rites is inspired by the true story of the last person to be executed in Iceland--a woman named Agnes Magnusdottir, for the murder of her master and another man. Kent takes the facts of the story as we know them and fills in the details of Agnes' life and personality, providing room for readers to believe or doubt Agnes' guilt as they see fit. It's a dark book, both in terms of theme and setting, but a fascinating consideration of Icelandic culture, the concept of death sentences, and what it means to have your story told by others. Read my full review of Burial Rites. Let's Explore Diabetes with Owls, by David Sedaris: Somehow, this was my first Sedaris book (what? ), but it won't be the last. 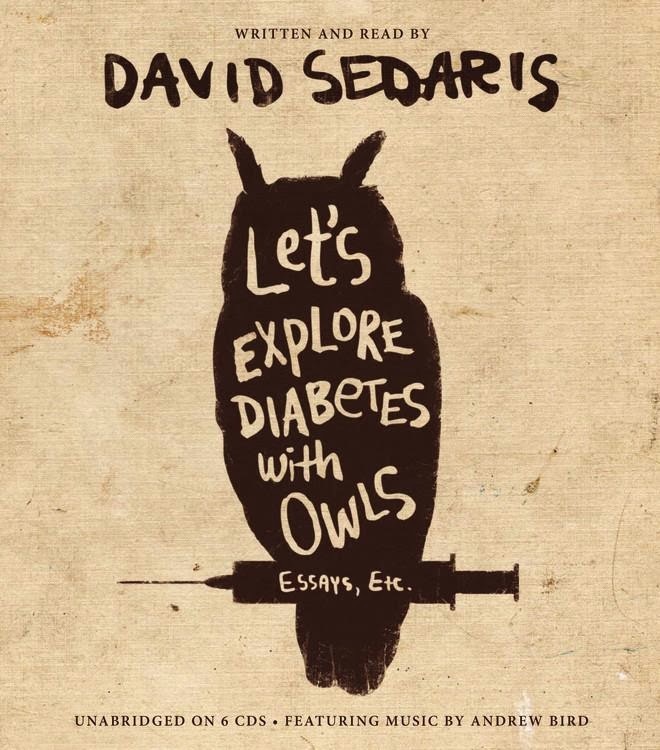 I listened to this one on audio, and hearing Sedaris read his own essays out loud was perfect and hilarious. Some are recorded at live readings, others in studio, which made for an interesting mix of tone, and with the exception of some strange imagined letters at the end of the collection, there wasn't a bit of this book I didn't love. Maddaddam, by Margaret Atwood: Admittedly, it took me a long time (we're talking months, not weeks or days) to get into this book. But when I finally found my stride with it, I fell in slow love. 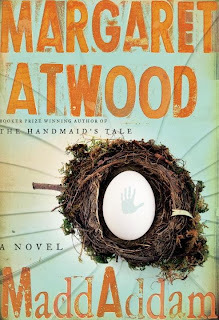 It's not the whizz-bang-pop conclusion of a trilogy I may have had in my head, but with her usual skill, Atwood has woven together the first two books of the Maddaddam trilogy, simultaneously giving readers more backstory while moving the plot forward. It's a unique structure for a three-book set, and it works--as long as you go into it expecting subtlety. 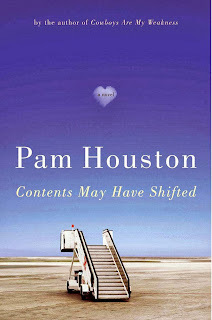 Contents May Have Shifted, by Pam Houston: This is another one I've been reading for months (since August, to be precise), but I chose to take slowly. 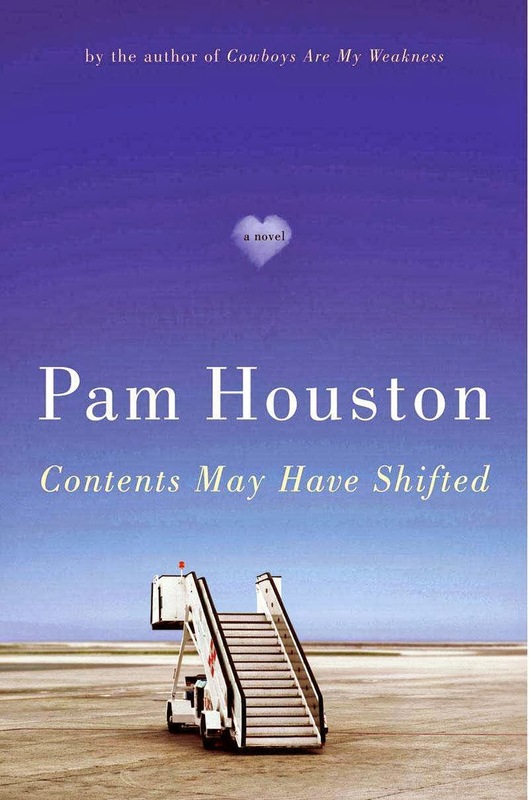 Written as 154 short chapters (Houston writes that the book was originally titled 154 Reasons Not to Commit Suicide), I read one or two at a time, staving off the inevitable end of what was a fabulous, delightful, wonderful, book that I am now, and probably will remain, incapable of writing about in any cohesive way. Thanksgiving is here, and soon I'll be drowning in gravy and mashed potatoes and cranberry sauce and four days of books, books, and books. (I suppose some turkey, too, but really, turkey is my least favorite part of this holiday.) I'll be spending some time over the next few days getting started on January (!) review copies that have started to stack up over in these parts, but also visiting The First Thanksgiving, an excerpt from Nathaniel Philbrick's more complete history of the Pilgrims and the Mayflower. When I worked in a bookstore, I spent more hours than I care to remember shelving and re-shelving Nathaniel Philbrick titles. My boss had a thing for Naval history, so had drastically over-ordered In the Heart of the Sea--or so we thought. Turns out, he didn't over-order at all, and the Philbrick books sold far faster than my 18-year-old self could have imagined. Since then, I've been intrigued by this author and his diverse array of historical subjects, and this seemed like a perfect starting point. 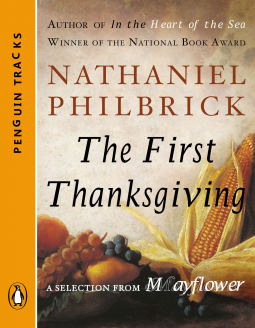 The First Thanksgiving is available as an e-book excerpt from Philbrick's longer title, Mayflower, and focuses, as the title might suggest, just on the first Thanksgiving meal. Since this is one of those holidays steeped in Hallmarkery and carefully crafted traditions, I'm excited to take a peek at the history of the meal that started it all in more detail. What are your Thanksgiving reading plans? Agnes Magnusdottir, along with two others, has been accused of murdering two men and setting fire to their house. Awaiting execution, she is sent to work on a distant farm. The family there shuns her--who wants to house an accused murderess?--speaking to her only as much as is required to complete household chores. The only confidant she has is Toti, an assistant priest Agnes has requested as her spiritual guardian prior to her execution. Small spaces and the harsh weather of Iceland, however, drive the family and Toti and Agnes physically and emotionally closer together over the months Agnes stays with them. Agnes helps deliver a baby, she cures a cough, and slowly, the family warms to her. As they grow closer, Agnes reveals bits and pieces of her story--a story very different from that of both the courts and the gossips of the Icelandic valley in which they live. Burial Rites is based on true events: Agnes Magnusdottir was the last person to be executed in Iceland, after being accused of killing her master and another man in cold blood in 1828. The history books offer skeletal facts about Agnes' life and the crimes for which she was condemned, and in Burial Rites, Hannah Kent sought to offer a more "ambiguous portrayal of this woman." Kent has succeeded--and then some. While some of the secondary characters in Burial Rites feel only partially formed--the two sisters on the farm where Agnes stays, for example, even the man she is accused of killing--the debut novel is a stunning psychological portrayal of Agnes, whose story dominates its pages. "I remain quiet. I am determined to close myself to the world, to tighten my heart and hold onto what has not yet been stolen from me....They will see the whore, the madwoman, the murderess, the female dripping blood into the grass and laughing with her mouth choked with dirt. They will say 'Agnes' and see the spider, the witch caught in the webbing of her own fateful weaving. They might see the lamb circled by ravens, bleating for a lost mother. But they will not see me. I will not be there." The truth, Agnes argues, is that she was doomed from the start. Alone, with no one to counsel her, her life is defined by others' opinions of her. As an intelligent woman, she is a threat; the townspeople and the court "believe a thinking woman cannot be trusted. Believe there's no room for innocence." But "room for innocence" is exactly what Kent develops in Burial Rites, alongside a detailed portrayal of the dark, cold landscape of Iceland and its shifting culture in the early 19th century. The question of guilt and blame and personality is what makes the story compelling to the last, culminating in a heartbreaking scene of life and death. Thanks to the publisher for providing a galley of this title for review. A brief, completely random search for "books to read before you turn 30" turned up this list from Huffington Post Books, and as a bonus to my 30-by-30 challenge, I'm going to see if I can read some (or all) of the list before my birthday... in 2017. With four years to do it and a few books already under my belt, I got this. Right? What books would you add to a must-read by 30 list? Anything here you'd take off? Updated: The spin number is #10, which for me is Dubliners by James Joyce. I read this in college for an Irish lit class, and wrote a paper about "The Dead." I'm excited to go back and re-read this one on my own terms, not as an assignment. This article on ranking books based on complexity for various grade levels in New Republic popped up in Book Riot's Critical Linking yesterday, and got me all kinds of twitchy. And not in a good way. Rather than summarizing the absurdity of ranking books by complexity and using the rankings to decide what books should be assigned to each grade level, I'll let you read the original article. Go on, I'll wait. In theory, sure. Ranking books based on complexity seems like a perfectly reasonable way to make sure that students in various grade levels are reading texts appropriate to their age and language skills. We wouldn't want to assign Tolstoy in 3rd grade and Dr. Seuss in 12th, I suppose. 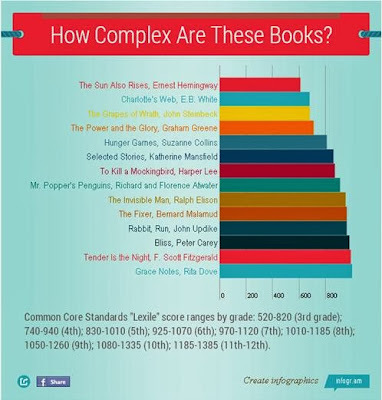 A close look at the scores, which even the creators of Common Core and the Lexile rankings admit can't be the final measure of complexity, reveals that The Sun Also Rises is deemed appropriate reading for a 3rd grader, while Mr. Popper's Penguins is more appropriate for 5th graders. The Hunger Games is more complex, in theory, than The Grapes of Wrath. For one thing, I strongly believe that complexity--or its inverse, simplicity--of language is an active choice. No one will argue that Hemingway wrote simple, staccato sentences because he was incapable of writing long, flowery, complicated ones; his short, straightforward language--with here and there a winding, complex line or two--is part of what makes his style his own, and is study-worthy in and of itself. They’ve long been rewarded for getting “the point” of language that makes “a parade of its complexity,” and they’ve not been shown that our capacity to manage ambiguity without reducing it enables us to be thinkers rather than mere ideologues. But I would also argue that there is to complexity than language alone. I'm no expert in Lexile rankings, but they seem to overlook important things like themes, subject matter, and how these texts fit into the bigger context of life and history and growing up. The Hunger Games may have more complex language in it than The Grapes of Wrath (even that I find hard to believe, unless it's because The Hunger Games has some sentences of questionable grammar which make them ), but Collins' world is one that is capable of being understood in its entirety without any contextual knowledge. The Grapes of Wrath is an interesting story on its own, but in the context of greater world history--the suffering and poverty of the Depression, the mistreatment of migrant workers in history and today, the difficulties of finding an economic system that works for everyone--it becomes so much more powerful than simply the sum of its parts. It challenges readers to think about history and modern times, about big things like poverty and hunger and workers rights, family loyalty and friendship and the naivete of the young, in a way that The Hunger Games just doesn't. At the end of the day, that is what makes literature great is all about: the ambiguities of language, as Greteman points out, but also how they help us illuminate the eternally complex, complicated, messy world we live in. Plant a garden. Plant flowers. Buy a house. With a porch. And, therefore, a porch swing. Join a book club. Start a book club. Be in a book club, whatever it takes. And 30, find a meaningful answer to the question, "What are you doing to change the world?" Bonus points for reading all the books on Huffington Post's list of 30 Books You Should Read Before You're 30, which is an arbitrary 30-themed list that I selected based on nothing more than a Google search, because broadening horizons is a thing. A little over two years ago, I made myself a list of 26 things to do before I turned 26. With my birthday looming a mere four hours away, the list is only partially finished. The over-achiever, to-do list obsessed person in me is tempted to be disappointed that I didn't finish. I haven't planted a garden. I haven't made an apple pie after a day of apple-picking. I haven't written a book, or even a story. I haven't written thank-you notes to my teachers, even after attending the funeral of one of the teachers on my thank-you note list and kicking myself for not making my appreciation known before it was too late. But the list wasn't really ever about achievements. It was about pushing boundaries, challenging myself to think big, and exploring new paths. And in that, I'm more than satisfied. To learn to juggle, I took a circus class with my mom at Charm City Movement Arts, where we learned not only how to juggle (note: learning to juggle and actually juggling are not quite the same thing, and I'm somewhere in between the two) but how to walk on a tightrope (which is much, much harder than it looks). I made a soufflé, and it didn't collapse. I went to the Library of Congress with a dear friend and sniffed some books (they were gift shop books, but I'm counting it). I made some lovely things. I read the first 240 pages of War and Peace before giving up on it for good, but my preparation for Tolstoy did include reading Anna Karenina, which I adored. I read five Hemingway novels. I made a new friend (several). I ran my first 5k, and then went on to run a half marathon... and then another and another. I might not have accomplished all 26 things, but when I look at what I did do, I can honestly say the list worked. I tried new things and then some more. Some, like War and Peace, I abandoned. Some, like the 5k, I expanded. And some, like reading all of Hemingway's work, will make a second appearance on the soon-to-be 30-by-30 list. Hoooo boy. This book reminded me seven times to sideways why I read horror novels as infrequently as I do (mostly due to the lack of sleep that inevitably covers the days of reading), but why I still turn back to them even though they make my skin crawl and generally leave me sleeping with the lights on. NOS4A2, Joe Hill's most recent novel, centers on Victoria "Vic" McQueen and her (pardon the term) arch-nemesis, Charlie Manx. Both have the power to bend the world as we know it to their own reality: Vic can locate lost items by riding a six-speed bike over a decrepit covered bridge, Manx can drive children to a world called "Christmasland" in his antique Rolls Royce (with the appropriately inappropriate and titular license plate number NOS4A2). When Vic goes off in search of Manx, her covered bridge takes her right to him--and when she escapes his wrath, she becomes the first of his victims ever to survive. But when Vic returns to reality and Manx is locked up in jail, she finds she remembers two versions of the events: the first, full of fantastical covered bridges, impossible sights, impractical things; the second, that she was kidnapped and drugged and held captive by Manx for days. In the face of reality, she--and her shrinks--push her mind to accept the latter as the truth. Vic spends her entire adult life running from her past, moving from one mental hospital to the next as she tries to screw herself back into reality and forget Manx ever existed. But Manx will never forget her, and when he escapes, he heads straight for her--and her son Wayne--vowing to kill Vic and take Wayne to Christmasland. NOS4A2 is the kind of creepy, weird, totally screwed up story that absolutely defies summation, so take the summary above with a grain of salt, please. "I kind of think it is our world. A version of it anyway. Everyone lives in two worlds, right? There's the physical world... but there's also our own private inner worlds, the world of our thoughts. A world made of ideas instead of stuff. It's just as real as our world, but it's inside." In Charlie Manx, Hill brings evil to life--but also pity. In Vic's friend Maggie Leigh, Hill applauds the power of libraries and librarians. In Vic's boyfriend Lou, he captures the nice guy with an eating disorder who spends an entire life just trying to get something right. In Vic's parents, the unstable, unhappy marriage that isn't great but isn't pure evil; in Vic's love for her son the love of a mother who refuses to abandon her child no matter how many mistakes she's made in the past. 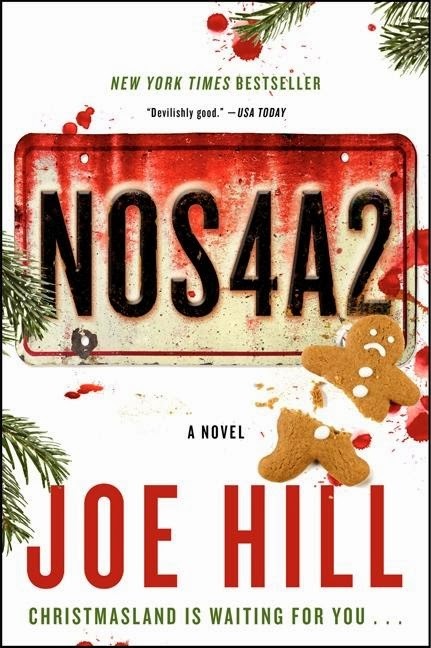 The world of NOS4A2 is complicated and messy and difficult, just like ours, with enough tweaks to our reality--or at least reality as we know it--to bring the stuff of nightmares, quite literally, to life. It is horror in a world at once so different from ours that we know it couldn't possibly be real, but the details of Hill's characters are so true and so realistic that it is quite easy to find oneself questioning just why, for instance, you might be humming "Jingle Bells" in the middle of September. Perhaps you've heard Manx driving by on his way to Christmasland--or perhaps you've just been reading too many Joe Hill novels. This review is part of TLC's book tour for NOS4A2. For thoughts from other bookworms, see the full tour schedule. Thanks to the publisher for providing a copy of this title for review. I've never been a huge romance reader (though I do love me some Outlander), but I'm always a fan of authors and indies teaming up to do really cool things for readers. In the midst of the to-Amazon-or-not-to-Amazon debate, it's refreshing to see ideas that make the argument moot, giving readers unique benefits that can't be obtained on Amazon (just like Amazon gives the unique benefit of deep discounts that generally can't be obtained in brick-and-mortar stores). 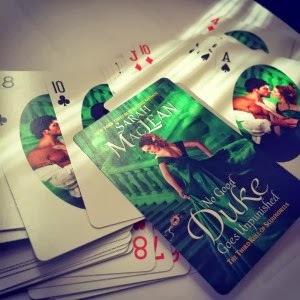 This week's excellent idea: book-themed playing cards for the first 500 readers to pre-order Sarah MacLean's upcoming book, No Good Duke Goes Unpunished, from MacLean's indie, WORD in Brooklyn. Image from Sarah MacLean's webpage. The playing cards are on top of the MacLean gift-giving extravaganza that apparently happens every December, when those wishing to gift any of MacLean's titles to friends, family (or themselves) can order from WORD and receive not only an autographed copy of the book, but bookmarks, postcards and other goodies. I have one of MacLean's earlier novels on my Nook waiting to be read (A Rogue by Any Other Name, the first in her Rules of Scoundrels series), and just seeing this promotion makes me want to pick it up sooner than later. What are the best indie-only promotions you've seen? I always read the acknowledgements. It's a habit that started, I suppose, when I spent a semester interning for a literary agent, during which I read slush pile after slush pile and learned very little about the world of publishing. I did learn enough to think to start looking at the acknowledgements, looking for the name of the agent for whom I work (confession: I can't even remember her name anymore). There are those who find the acknowledgements boring, or pointless, or too close to "inside baseball." Sure, some acknowledgements are way, way too long, and read like a laundry list of I-know-this-famous-person-and-this-one-too (Lean In, I'm looking at you, and all 7 pages of thanks). Others are the standard, relatively uninspired thankings of agents, publishers, editors, spouses, parents and children. Not that there's anything wrong with that--those people all deserve an author's thanks--but they aren't as interesting to us as readers. As interesting as what, you might wonder? As interesting as the unique ones, the amazing ones, the acknowledgements that a) make you want to be best friends with the author, b) let you avoid finishing the book for just *that* much longer, or c) all of the above. a) In the acknowledgements of her third novel, Seven for a Secret, for example, author Lyndsay Faye wished for the ability to put animated gifs onto the page to express her love and appreciation for her editor and all the work put into her book. You all know you want to be best friends with Lyndsay Faye (her love of all things Sherlock Holmes doesn't hurt, of course). 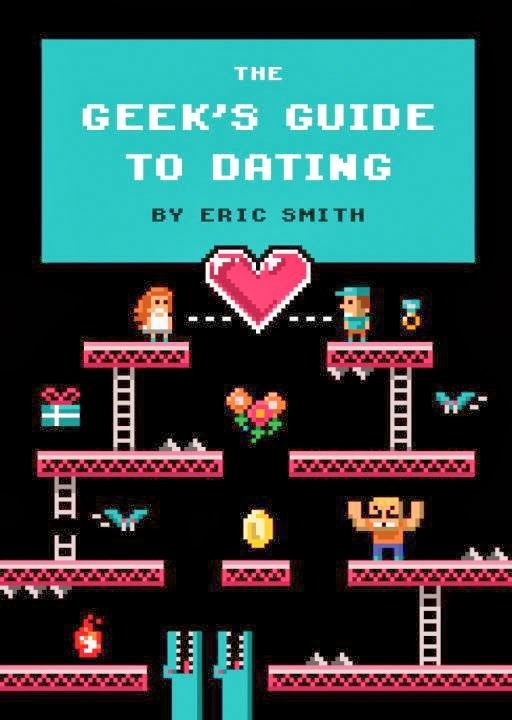 "If The Geek's Guide to Dating were an RPG, it would play a lot like Final Fantasy Tactics: War of the Lions. Not because this book has a hidden battle system (or does it? ), but due to the sheer number of characters involved." Confession: I do not understand the Final Fantasy reference, but this still makes me want to know Eric Smith. "In the Kingdom of Bhutan, it is not enough to simply say thank you. In the language of Dzonka, a direct translation of the words used to express gratitude is, Thank you beyond the sky and the earth." "Twitter is a hive buzzing with thought, argument, and geek-passion." "You know who is awesome? Kate Mulgrew is awesome, for reading this book on audio." People who skim or outright skip acknowledgements pages. Please contact management for your free, all-expenses-paid pass to Christmasland." In those tucked-away pages at the back of the book, I delay the inevitable end of a book I'm loving, and find keys to author personalities I'd not have seen in the text alone. I wouldn't miss them for the world. Do you read the acknowledgements? Got any favorites? This review originally ran in the Thursday, September 17th issue of Shelf Awareness for Readers. If you don't already subscribe, sign up here to receive a bi-weekly dose of readerly goodness in your inbox. 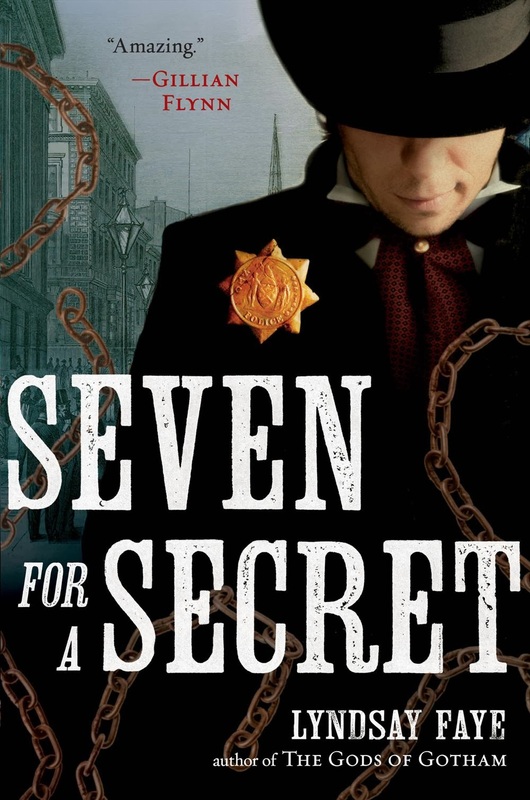 Laurie R. King is perhaps best recognized for her novels starring Sherlock Holmes and Mary Russell, so it is not so surprising she's a master at creating--and solving--intricately detailed historical mysteries. 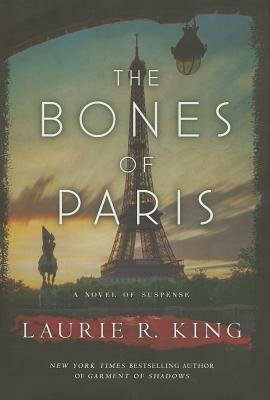 The Bones of Paris, which re-introduces Harris Stuyvesant, the star of her 2007 novel Touchstone, is no exception. It's 1929, and Stuyvesant, a former federal agent now working as a private detective, is broken-hearted in Berlin--and broke. When the opportunity to work a plush case locating a missing girl in Paris comes his way, he leaps for it. His search leads to a series of encounters with the great cultural figures of the period: Ernest Hemingway, Gertrude Stein, Man Ray, Sylvia Beach. As the days drag on and he turns up less and less about the missing girl, his simple, cushy case gradually becomes something much more sinister. King's knowledge of the era and the Surrealist art scene, and her appreciation of the minute details that make up a well-crafted mystery, work to create a thoroughly entertaining mystery that mixes fact in with the fiction. The story is peppered with references to Stuyvesant's past, providing background for those not familiar with Touchstone but occasionally slowing the pace. Nevertheless, readers will soon find themselves racing ahead, following carefully placed clues to a shocking conclusion nobody--except Harris Stuyvesant, of course--will see coming. Thanks to the publisher for providing an e-galley of this title for review. After five years, I decided it was finally time to step up my game and give the blog a facelift. And by "give the blog a facelift," what I really mean is "pay someone who knows what they are doing." Now here we are! If you're reading via email or RSS, be sure to click through to www.entomologyofabookworm.com to see the new, redesigned product. And a major shout-out to Laura of Sophie & Rory design for doing such an AMAZING job. Check out the full Etsy shop of her design work for more impressive stuff. When Sophie Landgraf graduates from college in 2008 with a degree in applied math (smartypants), she scores a fast-paced, high-power job working on Wall Street as an analyst. Or so she thought, anyway. The pace is fast, of course, but the high-power job she yearns for remains just out of reach, as her advice is overlooked and her presence not wanted at client meetings. She sticks with it, though, working such long hours that her personal life suffers, pushing for the job she wants rather than just the job she has. 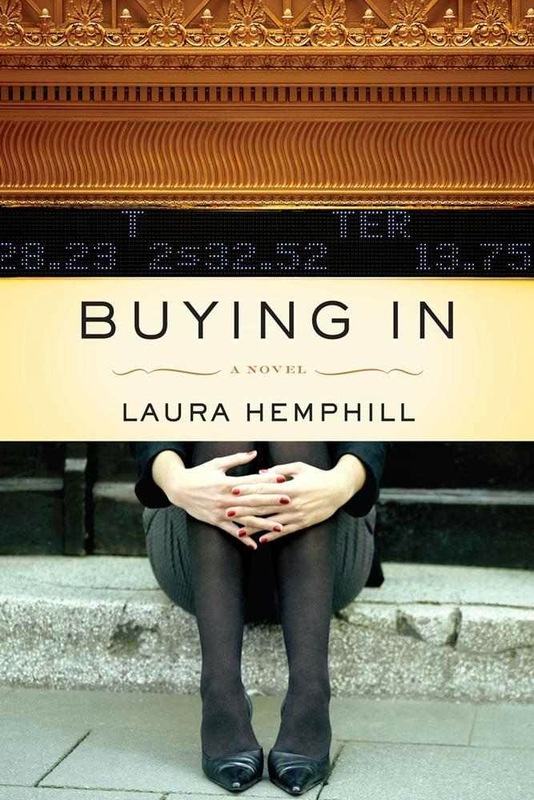 When her firm spots a potential merger in the works, Sophie hits it off with the client and suddenly finds herself in the position she's always dreamed of. But the credit crisis is looming, and Sophie's not sure who to trust or to turn to in her new shiny life; in order to succeed, she has to decide just how far she wants to go--how much she wants to buy in--before she can sell out. 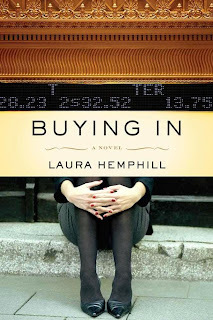 Buying In can, occasionally, get bogged down in financial details that would probably be more interesting to anyone who's worked in finance, and some of the secondary characters--like Sophie's father, and her best friend from high school--seem half-formed and out of place in Sophie's story. But if you're willing to look past this, the story is, at its heart, an interesting one, asking tough questions about careers, life, and what we will do to reach our goals. Not everyone will agree with Sophie's decisions, but the beauty is that they are her decisions. She can decide, as a recent college grad, how much she wants to dedicate to her job; as a woman, how much she wants to fight for recognition; as an individual, how much her job will define her personality or vice versa. Each and every one of us will approach these questions differently, but, like Sophie, they are questions we will ultimately have to answer. This review is part of the TLC book tour for Buying In. Check out what others thought about the book. Note: Thanks to the publisher for providing an e-galley of this title for review.